Lifetime Warranty: We at YOSH believe in quality of all YOSH waterproof phone case and so offers lifetime warranty for YOSH products with quality issues. If you encounter any problems, contact YOSH for a quick solution. IPX8 Certified Pouch: YOSH waterproof phone pouches are full tested of water resistance and only those who pass the test could be delivered, promising to protect your phone from water, snow, sand and dirt. Entrust YOSH waterproof pouches with your phone and enjoy your outdoor journey without any worry. 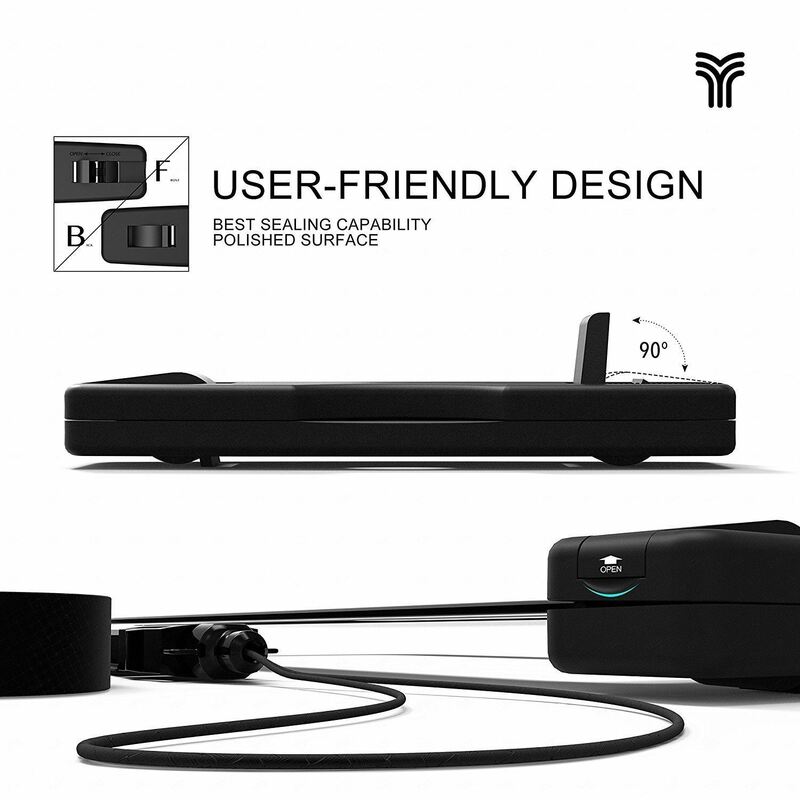 Double protection: Both snap-and-lock seal clip and fully enclosed black edge provide YOSH waterproof case a better seal ability and durability, constantly protect your cell phone from water invader well. 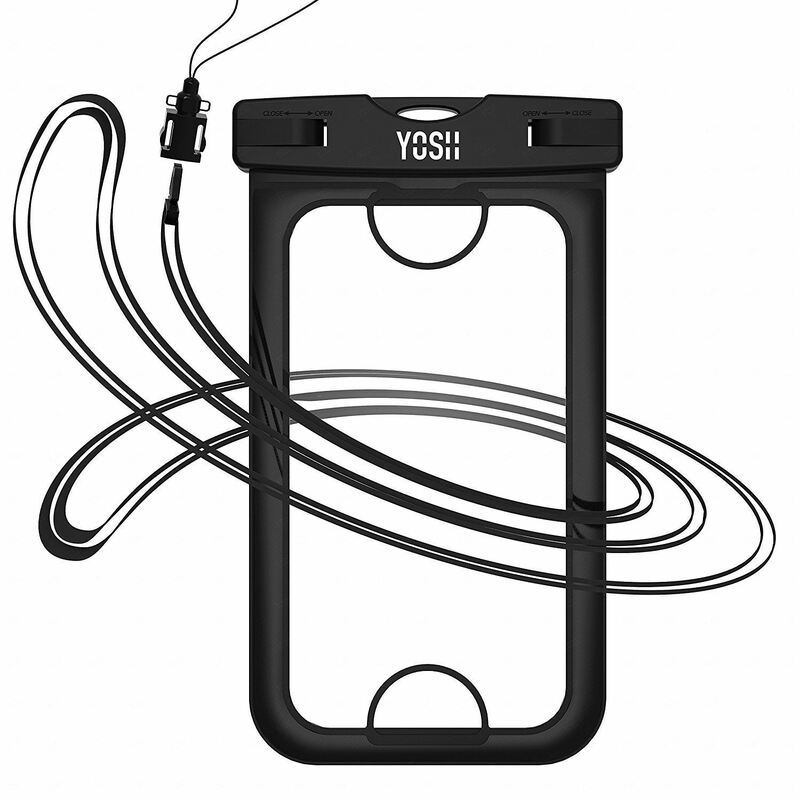 Wide Compatibility: YOSH dry bag is compatible with all most cell phone up to 6 inches, such as iPhone X 8 7 6s 6 Plus SE, Samsung Galaxy S9 S8 S7 J3 J7, Moto G6 Huawei P8, Nokia 7, Sony Xperia, Xiaomi, Wileyfox, etc. 21 inches long nylon lanyard frees your hands for perfect underwater photography and videography, recording every wonderful moment. 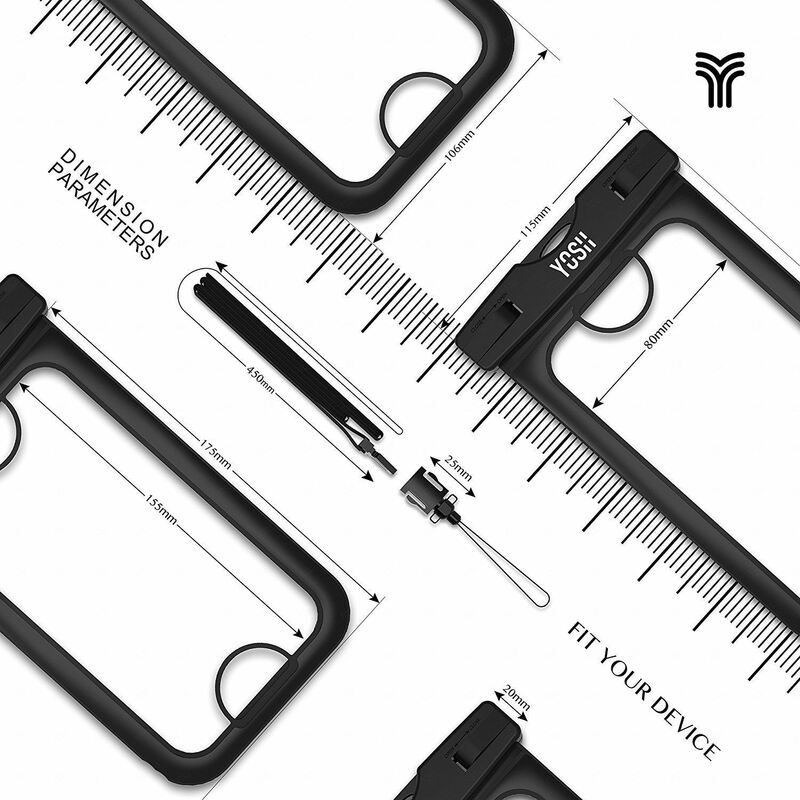 One for all: User-friendly design equips YOSH waterproof phone case extra space for your card and cash, one case for all while no more wallet needed. Less package, more fun with family and friends.